A lot of treatments to quit smoking address the symptoms, smoking, rather than the cause of why you smoke. To successfully stop smoking cigarettes, you need to break the cause of why you smoke. Our brains can be quiet primitive, especially when it comes to survival. In the days when we were cavemen and women the chances of survival were improved if you stuck together in a group. People start smoking to fit in. it might be because friends are smoking, family is smoking or workmates. When you have your first cigarette the conscious mind goes: hey this is cool I’m fitting in. the habit is then transferred to your unconscious. On the way, it goes; by smoking I’m part of a group, by being part of a group there is safety and survival. Your unconscious now associates smoking with safety and survival. That is why smoking has such a strong hold on you. 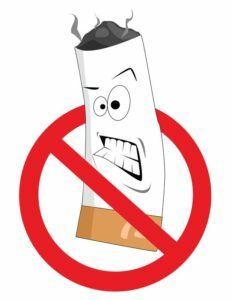 To successfully quit smoking cigarettes you need to change the thought of it is associated with safety and survival in the unconscious mind. If the changes are not made in the unconscious mind, then it will not happen!! Hypnosis can be very effective in quitting smoking as hypnosis allows you to give suggestions to the unconscious mind. You can give the unconscious mind suggestions that the smoking habit is not associated with safety and survival. When this happens, you can stop smoking easily and successfully. Are You Too Confused to Stop Smoking?